Following a 20-year career performing at the greatest centers and opera houses in the world, including The Kennedy Center, Lincoln Center, and the Champs-Elysees, Katherine McDonnell was named Artistic Director of West Valley Conservatory of Ballet in 2011. Born in Washington, D.C., she was introduced to ballet at a young age, studying for six years with Ballet Russe de Monte Carlo premier danseur Oleg Tupine. Then at age 13 she accepted a scholarship to the School of American Ballet in New York City, where she was loaned to Maria Tallchief’s Chicago Lyric Opera before joining John Clifford’s Los Angeles Ballet at age 19. While with LAB, Miss McDonnell was fortunate to have worked with such notables as Alicia Alonso, Fredric Franklin, Melissa Hayden, and Alexander Minz, as well as Alexandra Danilova. She joined Nevada Festival Ballet as a principal dancer at age 24, where director Margaret “Maggie” Banks created roles for her in La Boutique Fantasque and Carmen: The Ballet. During her 10 years with NFB, Miss McDonnell danced many of the principal roles in the classical repertoire including Myrthe in Giselle, Dew Fairy in The Nutcracker, and the waltz girl in Les Sylphides. staff. 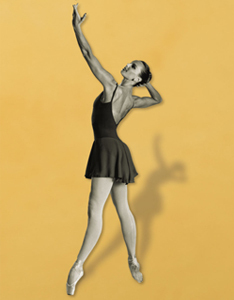 Jillana is one of a handful of artists worldwide authorized by the George Balanchine Trust to stage the master’s pieces. In addition to her many engagements as a rehearsal mistress, McDonnell has been in demand as a teacher for schools and academies including School of Ballet Arizona, Nevada Dance Theatre Academy, and Ballet Arts in Tucson, AZ. Miss McDonnell’s career has been consistently marked by success, and her rise to Artistic Director is no exception. After a tenure as associate production assistant with AZDance Group, McDonnell accepted the position of Artistic Director for the newlyformed non-profit West Valley Conservatory of Ballet, which attracted 20 students during its first year. She now directs productions for WVCB that combine theater, ballet, tap, and jazz. During the inaugural 2011-2012 season, McDonnell’s production of Peter and the Wolf met with resounding success. She followed this with an invitation to California as a guest teacher and choreographer for Tracy Dee Academy of Dance’s Summer Intensive Program 2012. Miss McDonnell regularly conducts Master Classes, and is looking forward to working with the talented dancers at Studio R School of Ballet in Mesa, AZ.